Last year in late November, I had the very fortunate opportunity to attend the 2010 Inductee Luncheon for the Vintners Hall of Fame at The Culinary Institute of America, Greystone in St. Helena. CIA Greystone is the premiere college for the culinary arts, with the main campus at Hyde Park, New York. They also have additional campuses in San Antonio, Texas and in the imposing former Christian Brothers stone building in St. Helena, California. 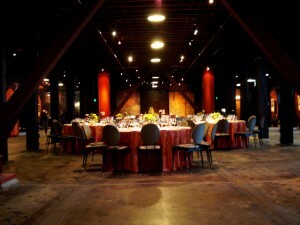 It is here at Greystone that they have converted the old winery Barrel Room into a an impressive showcase of the many men and women that have shaped the wine industry in America. The day’s event was to introduce the newest class of the VHoF during a small private ceremony before the public grand induction ceremony that will be held on March 13, 2010. I arrived a bit early to the event in my excitement, and grabbed an espresso at my favorite coffee shop in this earth, Napa Valley Coffee Roasting Company, only a about a mile south of Greystone on 29. The weather was fairly terrible, with the first true downpour of the season just starting to the it the valley that very morning. I tried to park near the entrance to escape from being entirely drenched before the event! With the extra time that I had, I took in the sights at Greystone, chatting some with the very informative and kind volunteer near the entrance and also checked out the late Brother Timothy’s incredibly impressive wine bottle opener collection…I had *no idea* that there were so many different types of openers over the centuries! As I walked around early on snapping photos (does anyone really *snap* a photo anymore?) 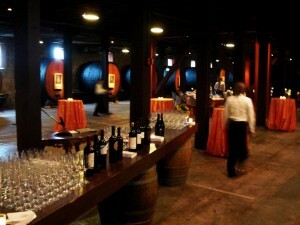 of the Barrel Room, other invitees started coming in. 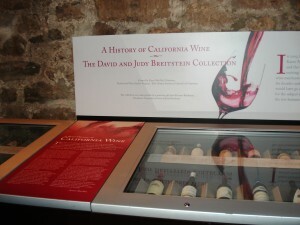 One thing that was immediately impressive was display of The David and Judy Breitstein Collection of 150 bottles of historic and iconic Californian wine. Proprietors of the esteemed Duke of Bourbon wine shop in SoCal, their collection is unsurpassed and they have generously donated all 150 wines on permanent loan to the CIA. 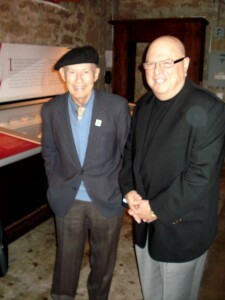 I enjoyed a very interesting conversation with David and Judy about the history of many of the wines on display that day. There were many wine luminaries there, including a few previous Hall of Fame alumni, such as the indomitable Mr. Miljenko “Mike” Grgich, someone whom I’ve always wanted to meet. Mike and I had a rather interesting conversation, discussing the passing of Mr. Robert Mondavi and whom should pick up the torch and continue the march of spreading the wines of the Napa Valley around the world. I brought up Mike himself, but with a mild chuckle he passed on commenting upon that choice. I was also excited to fun into W. Blake Gray (Twitter), wine writer and previously the wine editor of the now integrated SF Chronicle Wine Section and Podcast. 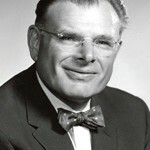 – Leon Adams, the “Pioneer Inductee” and a legendary historian of wine as the author of The Wines of America and founder of The Wine Institute. I was able to meet his delightful family over lunch! 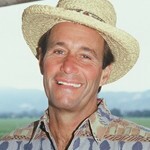 – Andy Beckstoffer, one of the most influential grape growers in the history of the United States. He has shaped the quality of wine grapes grown in California, as well as innovating economic policies that have helped encourage quality wine grapes. 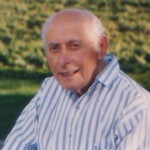 – Al Brounstein, founder of Diamond Creek Vineyards and one of the first pioneer’s of Californian wine to recognize our unique terroir, by releasing some of the first single vineyard wines in this country. 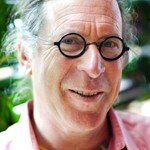 – Randall Grahm (Twitter), the indefatigable winegrower, thought leader and champion of the lesser known grape varietal while directing his winery, Bonny Doon Vineyard. His first collection was published last year, Been Doon So Long: A Randall Grahm Vinthology (the book website was created by our own Jason Coleman). 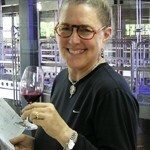 – Zelma Long, the fearless and talented female winemaker and winery CEO was one of the first to handle both sides of the wine business, at wineries Robert Mondavi Winery, Simi Winery and her own Long Vineyards, no less! Zelma had to call in from South Africa, were her and her husband produce wine for Vilafonté. Lunch was kicked off by the Managing Director of CIA Greystone, Charles E. Henning who urged us to spread the word about the VHoF and encouraged us to provide any tips on how to grow the Hall. One way that they can increase the reach and exposure for the Hall is to utilize some easily grasped social media strategies. 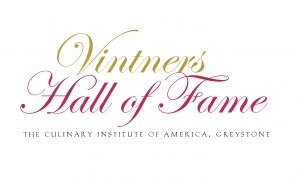 Much like the CIA itself, start a Fanpage on Facebook, open a VHoF Twitter account, but perhaps most importantly, make it a lot easier to find the Vintners Hall of Fame website. Currently, unless you dig around the Greystone portion of the site, you won’t find the HoF anywhere on the main pages. The Hall already has its own URL that redirects to the subdirectory page on CIA website; flesh out the site and make it standalone, yet still integrated by style and content with the CIA homepages. I’m happy to chat more about all of these ideas. Lunch was very interesting for me, as I was seated next to Lori Narlock of one of my favorite wine portfolios, Wilson Daniels (Twitter) and Paul Franson (Twitter) of the long-established chronicle of Napa culture, NapaLife, as well as TravelTastes. Our table was filled out by the family of Pioneer Inductee, Leon Adams. While I had little time to enjoy the many wines at the event, I did get in some Schramsberg bubbly early on (my favorite domestic sparkling producer) and Greystone’s own wine was served with both courses of the hearty luncheon menu. The ’08 Sauv Blanc paired wonderfully with the Chilled Dungeness Crab Louie, while the ’06 Cab Sauv created some palate synergism with the Red Wine Braised Veal Shank that literally fell from the bone. At the end of dessert, I had a chance to talk with VHoF 2009 alumus Carole Meredith and her husband Stephen Lagier. We discussed their latest endeavor, Lagier Meredith Vineyard up on one of my favorite appellations, Mt. Veeder. I’m hoping to make a visit there in the near future to try some of their highly lauded Syrah! The actual induction ceremony stands to be a grand affair and is open to the public, culminating in the induction ceremony 03/13/2010. With a grand evening celebration as well as a number of ‘“A Day in Wine Country” salons and exclusive wine country lunches with tours and tastings,’ there are plenty of exciting events from which to choose. 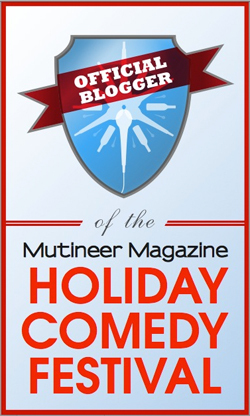 More information about the events and ticket sales can be found online. I would like to thank everyone at CIA Greystone for an exceptional day and all at Balzac Communications for enabling me to attend, particularly Michael Wangbickler (Twitter). 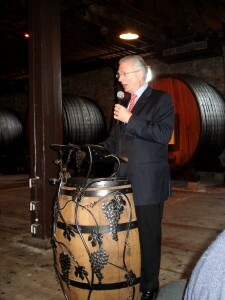 Check out my full reviews of the wines that we had that day during the delicious luncheon ceremonies. If you would like to list these wines in your own WineLog, they are tagged with”2010VintnersHoFLunch“. All of my photos from the day are over at my Flickr site, and are also tagged with “2010VintnersHoFLunch“. Cheers!